I’ve always had an affinity for yoga and Eastern traditions. Travelling to Rishikesh, Uttarakhand, India I completed my 200-hour yoga teacher training in June 2017. In this blog post, I’ve outlined: my experience, and my opinion of the course and teachers as a student from Canada. After a lot of research, I attended the Vinyasa Yoga Academy. I conducted the majority of my research through Google reviews and found that most schools are identical in offerings. The parts that differ the most are: Whether or not they have A/C (both in the rooms and in the practice hall), whether they include an Ayurvedic massage or weekend trips or not, and how many teachers take part in the teaching. I looked for schools that weren’t at the top of the price grade, but also were not at the bottom, and schools which had A/C throughout, and had a few different teachers (the more, the merrier!). What a success. I absolutely loved my experience. It was a month of a total transformation of my body, mind, and soul. My teachers not only taught me about the anatomical implications of yoga, and the fitness required for various postures, but the philosophical background of the practices and the culture and religion in the Rishikesh area and how all are connected to yoga. Yoga in Rishikesh is distinct from the yoga we practice in Canada. While yoga in Canada is mainly marketed as a fitness activity, in India the focus is truly placed more on wellness and connection between the body, mind, and soul. This includes healthy eating and physical fitness but spans much beyond the limits of our health and wellness industries in Canada. The yoga I practised in Rishikesh included ayurvedic meals to balance body pH, meditation, and pranayama, breathing exercises which help balance the energy in the body. This said you do not need to be at the height of your personal fitness to attend the 200TTC. Yoga is for every shape, size, and person. The practice is secular and meant to help people increase mindfulness and wellness, first. While I practised hot yoga in gyms back home, I now much prefer traditional methods – no music, A/C, or “glitz”. Your practice is meant for focus and connection to yourself and the world around you. The classes were taught by incredibly knowledgeable teachers, all of whom had studied yoga for a long time. My favourite teachers were my anatomy teacher, who taught us a lot about traditional Indian medicine and the reasoning behind the Ayurvedic dietary guidelines, and my philosophy teacher, who is a monk currently living at an ashram in Rishikesh. Our teachers brought a wealth of knowledge to the classroom that both was incredibly authentic (of course), and on a much deeper level on all subjects relating to the practices than any teacher I’ve ever had in the West. I highly recommend considering Rishikesh for your 200TTC. This is the opportunity to learn from teachers who have grown up in the traditions, religion, and culture which have fed from yoga for hundreds of years. Furthermore, being in a new country and city while practising the ancient traditions of that culture is a truly unique and special experience. 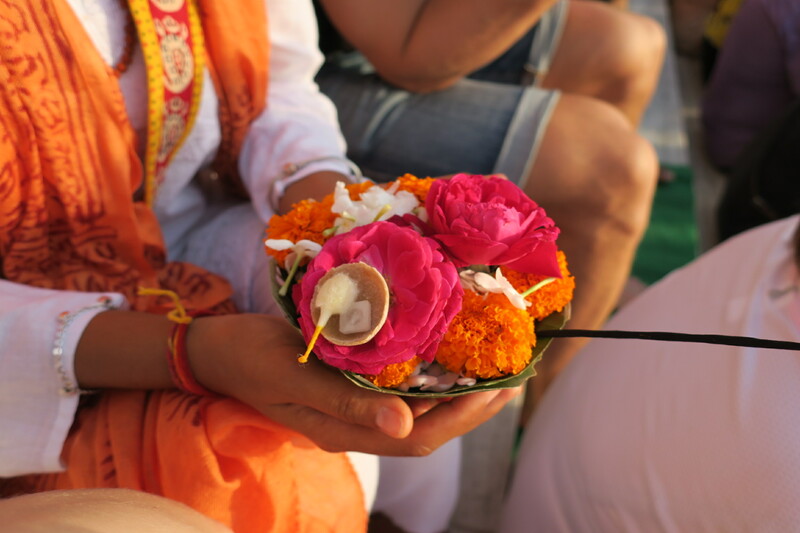 The immersion in the yoga tradition while in Rishikesh made my experience authentic, pure, and truly transformative. 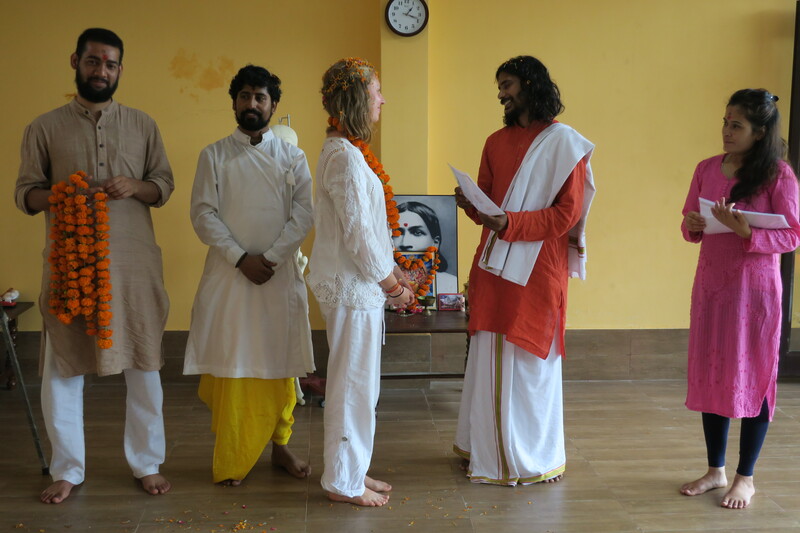 Kelsea studied at the Vinyasa Yoga Academy in Rishikesh. For more information about this school. Click here. Having trained in India and Bali, Kelsea has explored a wide variety of yoga traditions and practices. She completed her 200TTC in Rishikesh at the Vinyasa Yoga Academy in June 2017 and has maintained a consistent asana and meditation practice ever since. She is looking forward to returning to India in the future to continue to broaden her yogi education. In her spare time, you can find her curling up with a good book and a coffee. Get in touch with Kelsea through her website. Hey. Thanks for sharing your experience. I also want to share my experience of yoga in Rishikesh at Nirvana YogaSthal. It was an immense pleasure of being a student at Nirvana YogaSthal. I had an amazing experience of learning yoga there like never before. The atmosphere, the instructors & the technique, all were just so amazing. Could you please send us an email adithi@yoga.in, if you are interested in writing for us. Thank you.